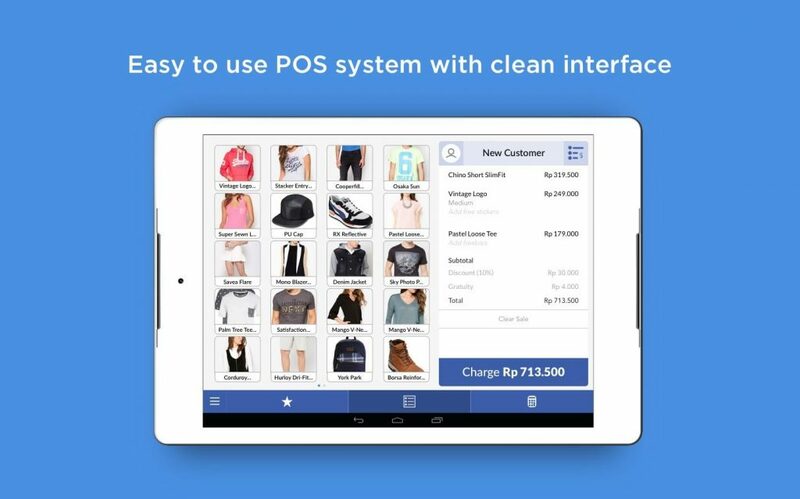 Moka, a Jakarta-based point-of-sale app operator has just received US$2 million in a funding round led by Mandiri Capital, with participation from existing investors Convergence Ventures, East Ventures, Fenox VC, and Northstar Group. “We believe that Bank Mandiri’s vast network of small and medium enterprise (SME) merchants will benefit from our POS and payment solution. We look forward to working with Mandiri Capital to empower local businesses in Indonesia,” said Moka’s CEO and Co-founder Haryanto Tanjo. This investment round comes in less than a year following a US$1.9 million, East Ventures-led Series A round secured by Moka in June last year which also saw participation from Convergence Ventures, Fenox VC, Northstar Group, and Wavemaker Partners. Moka plans to use the fresh funding to speed up product development, as well as to attract “the best talents” to help the process, in addition to offering new vertical-specific features for F&B, retail, and service industries. Founded in July 2014, Moka provides an end-to-end POS and payment solution that caters to small and medium businesses in Indonesia. The service consists of an Android/iOS app used by store cashiers and a web back-office that enables SMEs to access data such as sales reports, inventory, and customer feedback in real-time. “We acquire merchants through a mix of online and offline marketing. We have a strong sales team that gives product demo to merchants and a support or implementation team that brings merchants onboard,” Tanjo explains. At present, the startup’s SME clients are spread across F&B, retail, and services industries. More than half of them are based in Jakarta, with the rest operating in Bandung, Bali, Surabaya, and smaller Indonesian cities. “One of the difficulties that we see in SME’s is to track sales and many business owners are still doing it manually. We think that Moka is the right partner and the best startup available to provide such ability to SME,” Eddie Danusaputro, the CEO of Mandiri Capital said. The company has seen rapid growth in 2016, claiming to have over 2,500 monthly paying merchants to date, and it plans to grow even more aggressively this year. Additionally, Moka had also just launched a sales office in Jogjakarta this month.